MESSA is introducing a new medical plan that can help members save money. Essentials by MESSA is a low-deductible ($375 for individuals and $750 for families) medical and prescription plan. The plan can reduce the amount taken out of members’ paychecks for health coverage, while still providing the same peace of mind, choice of doctors and outstanding service education employees expect and deserve from MESSA. Members get the same, one-on-one service from MESSA field representatives and call center staff, worksite wellness support from a MESSA health promotion consultant and personal help with managing chronic conditions from MESSA’s case management nurses. As with other MESSA plans, Essentials by MESSA provides members with the greatest choice of doctors and access to expert medical care from the best hospitals across the nation. In order to significantly lower both the premium and the deductible, we reduced some benefits that many members tell us aren’t crucial to their health care needs. In addition, most covered medical services and prescriptions are subject to copayments or 20 percent coinsurance, and the out-of-pocket maximum has been set to the federal limit. Combined, these features provide a significantly lower premium. Finally, because it’s a low-deductible plan, Essentials by MESSA is not compatible with a health savings account. Members who switch to Essentials by MESSA could keep their HSAs but could no longer contribute to them. 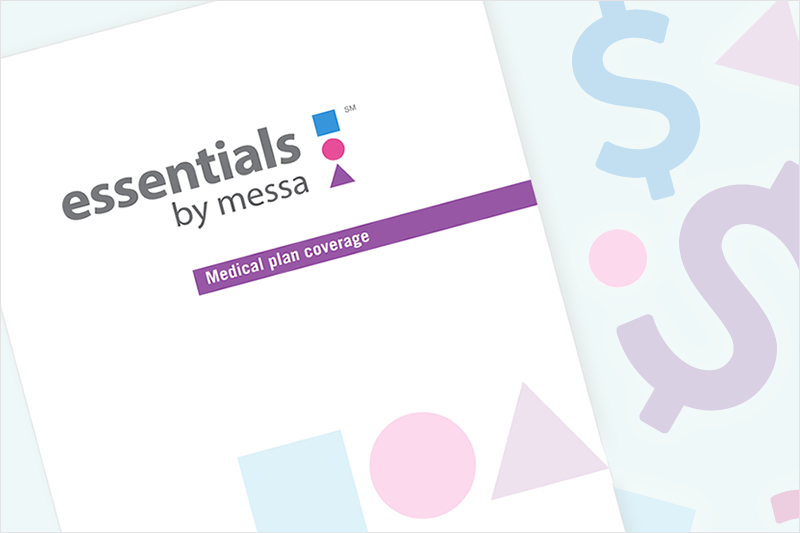 Depending on the size of the group, Essentials by MESSA can be included as one of a menu of MESSA plan options, which can give employees the ability to choose a plan and premium that best meets their own medical and financial needs. The new Essentials by MESSA plan can be bargained now with an effective date of Jan. 1, 2019. Groups that want more information about Essentials by MESSA should contact their MESSA field representative at 800.292.4910. You can also find more details at messa.org.